Proper and pukka Puneites would agree that Pune infrastructure has lost its sheen since past few years. The reasons are aplenty, it is a fact that a lot of planning and work needs to be done on that front. On the brighter side however, there is always a ray of hope in the form of a few renowned companies who have contributed to the infrastructure of the city in a big way. Phadnis Group is one of the names which have been very active and vigilant about Pune infrastructure development, right since its establishment in 2003. Phadnis Group’s infrastructure vertical is looked after by Phadnis Infrastructure Limited (PIL). Ours is one of the most well known infrastructure companies in Pune. We at Phadnis Group have expanded our reach across various fields and have evolved over the years as a new age infrastructure company. Consequently, we have not just been a part of Pune infrastructure projects but we have also geared ourselves to accomplish infrastructure development all over India. All credit goes to our fabulous team of dedicated and expert professionals; we have succeeded in our ventures hitherto. We are extremely proud to mention at this juncture that our efforts have been recognized and we have been lauded with ISO 9001, ISO 14000 and OHSAS 18001 certificates for our great work in the industry. It also gives us immense pleasure to mention here that our projects are not limited to a specific genre. We have been involved in range of projects right from the basics like roads, bridges, water supply projects to highly specialized ones including airports and ancillaries, waste management projects, power and energy infrastructure and residential and commercial properties. The booming hospitality industry in Pune is proving to be a very lucrative option for those who are looking towards setting a business of their own. On a given weekend, you see any restaurant in any of the major cities and it is jam packed. Hotels carry the same story. However, the challenges of the industry too are aplenty, even though it looks simple. Still, one-name stands apart, shining away to glory – Phadnis Group. Since the time we have embarked on this challenging and fulfilling journey in 2003, we have excelled in the hospitality business. Inspite of the volatility of the field and influenced by many factors like real estate, infrastructure, economy and others, we were able to create landmark hospitality ventures. It was, however, definitely not possible without our skilled and dedicated team. At Phadnis Group’s hospitality vertical, we made the first breakthrough with a 3 Star Luxury Resort in Lonavala, Sahil Sarovar Portico. A hill station, Lonavala is a hub for nature lovers and tourists visiting Mumbai and Pune with beautiful mountains and lush greenery. It was no rocket science that we set up this luxury resort in these alluring environs! Personal, customized treatment at an exclusive spa draws people to Sahil Sarovar Portico. Flawless hospitality experience is what holiday goers and corporate get here. The resort features 23 ritzy rooms, conference halls, a multi cuisine restaurant and more. It is a perfect holiday destination! The saga of success in hospitality for Phadnis Group continues with Radisson Blu Resort and Spa at Alibaug. Another popular holiday destination, Alibaug has a completely different contour from that of Lonavala. Golden, unexplored beaches, pleasant climate and infinite sea attract tourists here, as bees are attracted towards honey! Plus, it is just a few hours from Mumbai and Pune, well connected with road as well. More than 150 rooms with Spa villas, lavish banquet halls, well equipped business centre, library, courtyard and facility for outdoor sports make Radisson Blu a hot favourite of those visiting Alibaug. Aparanta, an exclusive restaurant here serves delectable dishes from cuisines all over the world including quintessential Konkani cuisine is a high point of Radisson Blu. After establishing these benchmark hospitality creations, Phadnis Group made its foray into Hospitality management and Consultancy with RIMC Sahil India. We have joined hands with RIMC International, a leader in Hotel management and consulting for this ambitious venture. RIMC Sahil India is involved in taking over new and existing hotels for management and offering turn around services for such properties. With so much in our bag, it was no surprise that our hospitality vertical has grown and succeeded leaps and bounds. We have now made our brand name inevitable to the hospitality industry in Pune. And this is where we sign off! Sometimes people say things about Pune like Puneites are stingy and judgemental; the roads in the city are bad etc. However, the people who talk like that, when they look to settle down give Pune properties the topmost priority. Ironical as it is, it is the best option considering the climate and decent infrastructure and overall growth Pune can boast of. When it comes to real estate sphere in Pune, Phadnis Group is one of the most popular and renowned names. Phadnis Properties Ltd. is our, Phadnis Group’s housing property development arm. We have been playing a very important role (yes, we like to blow our own trumpet!) in the real estate development of Pune since 2003. On a serious note though, Phadnis Properties Ltd. has given a complete makeover to Pune’s skyline. We have innovative, luxurious and award winning properties to our credit. To tell you more, we at Phadnis Properties Ltd are involved in creating properties at par with international standards. Luxury combined with utility and intelligence, replete with lifestyle features for a plush suburban life and spacious houses is a common trait that applies to all our properties, whether it is flats in Mundhwa or apartments in Baner. Our ventures are planned and designed in a way that they become landmarks for that city. Now, for instance, Eastern Ranges in Keshav Nagar, Mundhwa offers lavish 2, 3 and 4 BHK apartments with a futuristic design. These apartments are ultra luxurious and spacious and simply mind blowing. Moreover, all the health conscious and environment sensitive ladies and gentlemen, apartments in Eastern Ranges are as eco friendly as you can imagine. Day care centre, vehicle free podium, ample visitors’ parking, facility for outdoor games, temple and many more features will blow you away at Eastern Ranges. 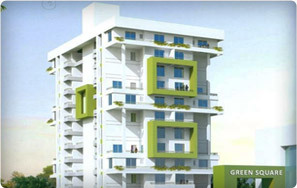 Another incredible project offering lavish residences is Green Square, comprising 2 and 3 BHK flats in Baner. Mind you, it offers 2 elegant entrance lobbies, mini golf, drip irrigation for trees, rain water harvesting, solar system and a quaint sitting pavilion. We make sure that each of our creation fills the residents with pride and uninhibited happiness. Now, mind you, having said that, it is no mean feat monsieurs and madams, to consistently come up with landmark properties with the best of living and business spaces! But we have successfully managed to do that and don’t be surprised to see if you find a distinct Phadnis imprint on all our houses. With Pune properties by Phadnis Properties Ltd becoming show stealers in Pune real estate, we are now inching towards dazzling Noida and other regions all over India. We can go on and on, but this is where we take your permission and say adios! When we are talking about Pune infrastructure, then let us be honest. It is proving grossly and woefully inadequate. Yes there is a lot to be done. The good news though, is Company like us, Phadnis Group, involved in creation of infrastructure for the development of the city. Phadnis Infrastructure td is the vertical under which we plan and carry out infrastructure activities, right from building roads, airports and ancillaries to water supply projects and commercial and residential real estate. Now you might think that we are blowing our trumpet! But on a serious note, consider this. In just around 9 years of our establishment, since 2003 we have become one of the most renowned names in the industry. The Group has ISO 9001, ISO 14000 and OHSAS 18001 certificates for its unparallel work in the industry. Moving ahead, our popular and trusted infrastructure company in Pune has a number of colossal infrastructure projects, all over the country in its kitty. Some of them involve residential projects, commercial buildings, hospitals and telecom towers in Maharashtra, Noida, Gujarat, Madhya Pradesh and a number of other States. These projects, however, would not have been possible without our reputed partners. Phadnis Group is proud to be associated with such esteemed names in the business. Moreover, Pune’s infrastructure in the past few years has not witnessed satisfactory growth. We intend to change this situation from not satisfactory to excellent. The group has created plans for a number of projects covering roughly 60 lakh sq. ft. and would develop almost 5500 to 6000 residential flats in near future across new suburbs in Pune & Mumbai. Further, we have bagged prestigious project with DGMAP, Ministry of Defence, for the construction of Dwelling unit at Colaba & Kalina (Mumbai). Likewise we have set anchors on international shores and fruitfully explored infrastructure development opportunities there. We at Phadnis Group understand the huge demand for infrastructure in a developing country like India. At the same time, we know how vulnerable this industry is to economic instability. Still, we are there, giving our best and transforming the infrastructure in Pune for good. 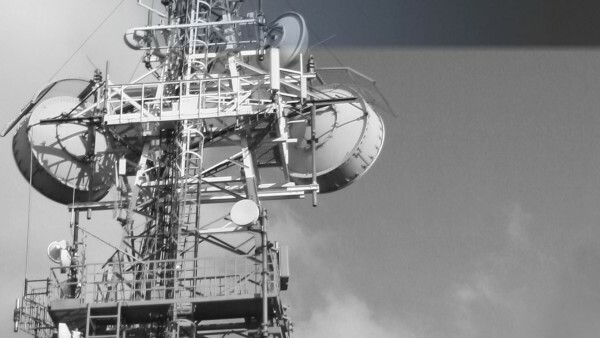 We are on the fast track to being the top infrastructure company in a short span of time. We also have a couple of niche power generation projects in Maharashtra to our credit. To cut a long story short ladies and gentlemen, Phadnis Infrastructure Ltd has given the much needed zing to Pune infrastructure, in addition to a lot of other cities in India!